Having a theme party is a great way to make a birthday memorable for your child. But, fun-themed decorations and food aren’t the only way to make their day special; costumes are a great way to take the party to the next level! Costumes will enhance the decor of your party and will make for some very special photos! Costumes also make great gifts! Creating a dress-up chest for your child will make for a very imaginative and fun playtime! Here are a few of our top costume ideas for children’s birthday parties! Ahoy, mateys and lassies! A pirate party is a great theme for both boys and girls! But pirate costumes can be lots of fun for parents, too! Maybe the kids can wear full pirate wear, while the parents dress-up with accessories like pirate swords, bandanas, hats and eyepatches! You can even give out pirate party favors, like necklaces or rings! 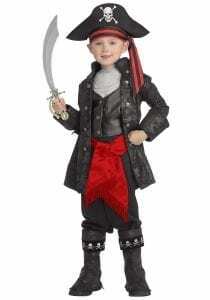 We have a large selection of classic pirate costumes, as well as costumes from the Pirates of the Carribean movies. Bippity, boppity, boo! Your little girl can live happily ever after at her princess themed birthday party! Everyone will be enchanted when she makes her grand entrance dressed as the princess she is! Whether you do a Disney theme, a royal theme, or choose a specific princess, like Elsa, we have costumes to fit the occasion. 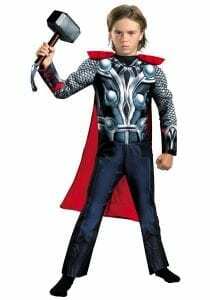 We even have prince costumes for little boys! Tiara‘s make a fun party favor for your guests. .
Bam! Pow! Whether you are a Marvel or DC fan, superhero themed parties for kids are always popular. Any small superhero would love to dress up in a superhero costume for a birthday party. And we have plenty of costumes to choose from! 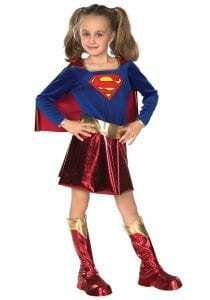 Batman, Superman and Spider-Man are always top choices for the boys, but we also have great superhero costumes for girls. You can also create your own superhero using our selection of capes and masks! Hut, hut, hike! You may think that a sports themed party would only work for little boys, but girls can join in, too! We have costumes for a variety of sports and sports themes, like football, baseball and even nascar! 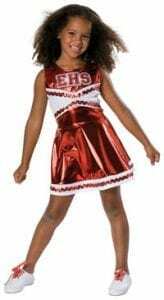 Girls can support their favorite team in a cheerleading costume! Woof! Purr! Squeak! An animal-based theme is always a fun and easy option for a child’s birthday party. You can do a Farm theme with cows and sheep, a Forest theme with squirrels and bears, a Jungle theme with monkeys and leopards, or even a Safari theme with tigers and giraffes. The sky is the limit! And, if the kids don’t want to wear full animal costumes, we have animal kits with ears, noses and tails! Did you like dressing up and playing with costumes when you were a kid? What other kinds of birthday party themes do you think would work great with our costumes? If you liked this blog, be sure to follow us on Facebook to share your thoughts, or send us a note via email. Be sure to check out our Pinterest boards, too! Click here to shop all kids costumes on Costume Holiday House.